The Torah was recognized as a unit before the separation between the kingdoms of Judah and Israel. 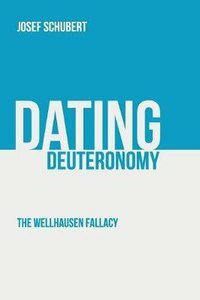 This book challenges established biblical scholarship derived from two assumptions of the Wellhausen Fallacy: a) Deuteronomy could not have been written before the time of Josiah (650 BCE); b) The existence of a group of redactors in the fifth century BCE or later. The first premise is based on the mistranslation of the biblical text. The second is based on the unlikely assumption that the scribes of the Second Temple era felt free to edit old documents or to ascribe their own writings to Mosaic times. The Samarian version of the Pentateuch is virtually identical to the traditional (Masoretic) text. It is preposterous to assume that the Samarians would accept a fictitious Torah composed by Judean exiles of the Persian period or later as authoritative. Neither Samarians nor Judeans copied the Pentateuch from each other. The biblical text and the Samarian texts are merely different editions of the same document. Josef Schubert, Professor Emeritus of the University of Regina, Saskatchewan, was one of the founders of the secular department of religious studies where he taught a class on Judaism in addition to his duties in the Department of Psychology.